Did you ever wonder how to export and transfer iPhone contacts to your computer? 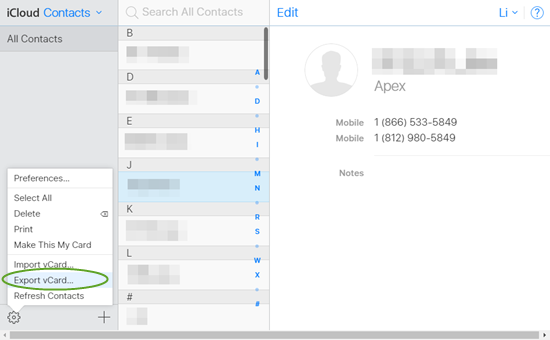 Mainly there is no way to export iPhone contacts directly. Don’t get disappointed. In this post we will share some basic tricks about how to export contacts from iPhone with Email or iCloud. Also, we’ll go a little deeper and show how to export iPhone contacts to CSV/HTML file with iPhone Backup Extractor Freeware. 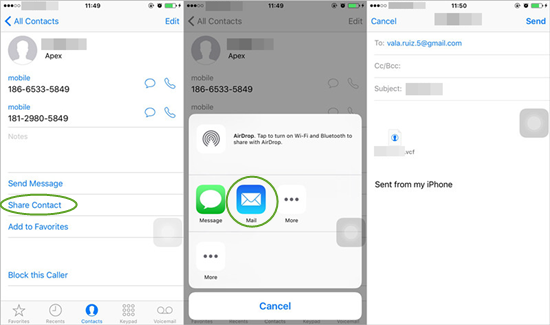 iPhone has a feature that lets you share a contact card with someone either via SMS, Email, or AirDrop. You can transfer iPhone contact to computer by emailing it to yourself. 1.On your iPhone, go to the Phone app and tap on the name of the contact you want to save on your computer. 2.Scroll down to the bottom of the contact card and select the “Share Contact” option. 3.Tap on the Mail icon and email this contact to yourself. Then access the email on computer and save the attached file on your PC. Cons: Time-consuming. You can share and email one contact at a time. Basically you can sync your iPhone contacts to iCloud, then go to icloud.com and export & save iPhone contacts to computer. 1.Head to “Settings” on your iPhone and tap on “iCloud”. Toggle the “Contacts” setting to “On” position. 2.On your computer, go to icloud.com and log into with your Apple ID. 3.Click on the “Contacts” to access your address book, then click on the gear icon at the bottom left, choose”Select All” then “Export vCard”. Pros: The vCard (.vcf) file can be imported directly to an iPhone, iPad, Android, or Windows phone. Cons: You need a third-party application to open the .vcf file. 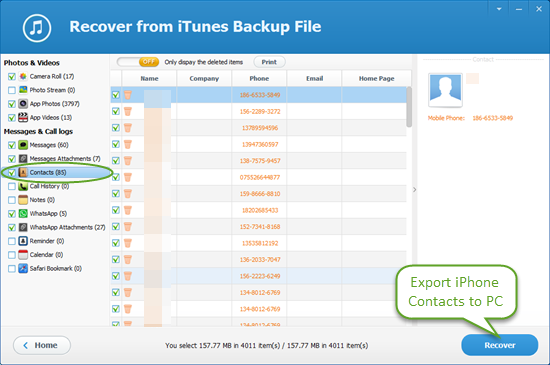 Free iPhone Backup Extractor provides great way to export iPhone se/6s/6/5s/5 contacts. If you previously backed up your iPhone using iTunes, the freeware can access your contacts directly from that backup without even needing to connect to your device. So you can export selected contacts to CSV or HTML file and save them on computer. 1.Run the freeware and select the iTunes backup you want to use, then click “Next”. 2.From the list of file types, choose “Contact” then tap “Next”. This tool will load all your contacts in the backup. 3.You can preview the contacts in detail. Mark those you need and click “Recover” to export iPhone contacts to CSV or HTML file. Pros: All-in-one tool to access iTunes backup and export photos, videos, contacts, messages, call logs, notes, WhatsApp, etc. to your computer in readable formats. Cons: Recent iTunes backup is required. If you want to transfer iPhone contacts to computer without iTunes, I suggest you use an iPhone data transfer tool.